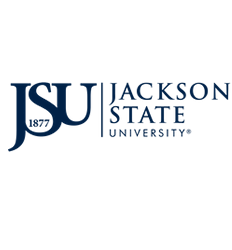 Welcome to the Jackson State University Division of Institutional Advancement website. We hope you will take time to explore the site and get familiar with our key units: Alumni and Constituency Relations, Development, Events, University Communications and the Welcome Center. We also work closely with the JSU Development Foundation, a nonprofit fundraising arm of the university. Institutional Advancement is the gateway to JSU. Our website showcases how we connect alumni to our “dear old college home,” raise funds to address JSU’s most pressing needs, host engaging events for the campus and surrounding community, tell the JSU story here and abroad, and make guests feel at home when they visit our beautiful campus. We hope you find the website helpful as you look for ways to give, get involved and stay connected to Jackson State University. Your gifts, whether large or small, allow us to continue a legacy of achievement, success and sustainability. With your financial help, we are enhancing academic support, scholarships and athletic programs for today’s students and securing the future for the next generation of Jacksonians. Thank you for your support of Institutional Advancement and JSU as we continue to “Challenge Minds and Change Lives.” Please let us know how we can be of assistance to you. The mission of the Division of Institutional Advancement at Jackson State University is to work collaboratively to secure financial resources to support its annual fund, student scholarships, faculty/staff development, the endowment, and other institutional priorities and campaign initiatives, strengthen alumni ties and encourage lifelong support of their alma mater, and foster quality communications, internally and externally, to keep stakeholders accurately informed about institutional achievements and our continued educational excellence. 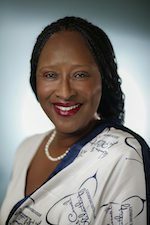 The Division of Institutional Advancement strives to achieve its mission through rigorous fund development, stewardship, alumni and donor relations as well as a university-wide marketing communications focusing on consistent messages and branding, public affairs, publications, and web online communication. These efforts result in building relationships and securing commitments required to advance and sustain the institution’s mission and priorities. Additionally, the division leverages the University's intellectual and programmatic resources by increasing philanthropic investments.